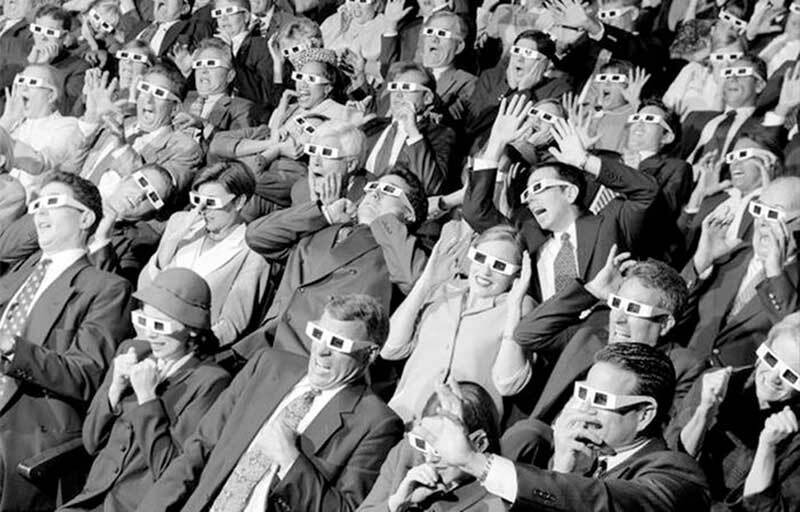 Thinking about what I was going to write about, I sought inspiration in one of the things I really love: movies! 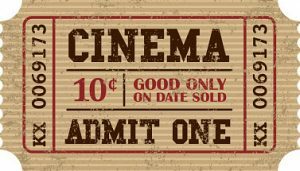 I love going to the movies on my own, choosing what I want to watch, have no one judge my habit of putting my whispers into my popcorn box, and escaping for 90 minutes into another world or another time. SavWorking in a digital applications development business means that we have to know what is trending digitally in the world and what applications or technologies are being developed so that, as a business, we can stay ahead of our competitors, and offer our clients the newest technologies and best ways to showcase their brands digitally. We have acquired some new toys for the office and have been playing with Virtual Reality more and more and more, telling people about it and wanting to adopt it. But what does this have to do with movies? I used to watch sci-fi movies and think that the technology was incredible and so far out of reach, but as the human race advances, it is becoming clear that the sky really is the limit, and that if you can imagine it, it can become a reality. In the classic 1987 sci-fi film Robocop, Peter Weller wore a futuristic part-robot, part-human helmet that could input information into his head. The modern day version of the helmet has to be Google Glass – a genius Android device being tested around the world. 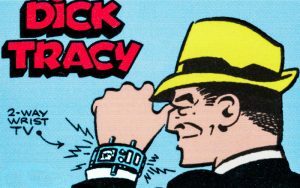 Google Glass is a wearable computer, operated by voice commands. 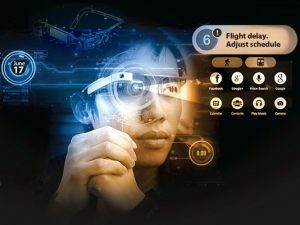 The glasses place an optical display before the user’s eyes showing an array of information from a sat nav map to answers to complex questions, via Google. Stanley Kubrick’s ideas for 2001: A Space Odyssey really seemed out of this world in 1968. 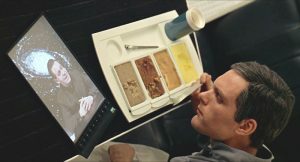 SaveIn the movie, the astronauts are seen surfing on a gadget that replicates a modern day tablet, particularly the iPad. Apple launched their first iPad in 2010, so no such thing actually existed back in 2001. BMW invented the visionary i8 hybrid concept car for Mission Impossible: Ghost Protocol, in 2011. The highly technical vehicle was designed to replicate the next wave of automobile technology and was powered purely on electricity. Several car manufacturers are now developing and building electric cars and cars that can drive themselves. In Steven Spielberg’s Minority Report in 2002, face scanners didn’t even exist. By 2012 the face scanner became an everyday gadget available on laptops and smartphones, and now, airports around the world have body scanners. My dad gave me a Nokia the size of a brick in 1994, and twenty years later, I can now make calls, play music, and take photos with a smart watch on my wrist.